Lifetime Movies will be lighting up the holiday season with Christmas-themed movies such as Every Day is Christmas, which will air on November 24, 2018. It’s about a career-minded woman coming to terms with her past, present, and future as she struggles with the notion of love. Make sure you watch Every Day is Christmas this Saturday! The holidays aren’t too far away, and it’s time to get into the spirit! Lifetime Movies is doing it in style as they get ready to air several Christmas movies in the run-up to the hallowed season. One of the movies on their schedule is Every Day is Christmas, which is based on the classic Charles Dickens book, A Christmas Carol. Every Day is Christmas will premiere at 8:00 p.m. EST on Saturday night, November 24, 2018, and it will throw open the doors of infinite possibilities! Here are a few details about the movie’s plot and cast. An intelligent and ambitious money manager, Alexis Taylor (Toni Braxton) drives herself and her co-workers to work hard…all the time. So much so that she expects them to work on Christmas Day, much to the dismay of her office staff. Taylor is a workaholic who has a dismissive attitude towards things like love and affection and buries herself in the pursuit of money and success. Then, a miracle happens in the true spirit of Christmas, and Taylor’s life is changed forever. She gets the holiday visit of a lifetime and is forced to confront her past, present, and future as they all impossibly collide. She has to grapple with matters of the heart, and soon realizes that all the wealth in the world cannot buy one thing: her heart! Life turns upside down for Taylor, even as she is making sense of the miracle all around her on Christmas. The movie stars actors like Toni Braxton, Gloria Reuben, Towanda Braxton, and Michael Jai White. Toni Braxton is the big star here, but all the other actors have put in excellent performances as well. 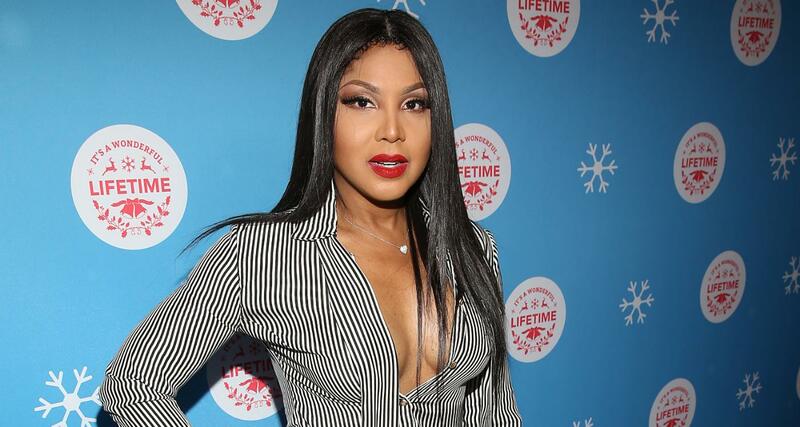 Born on October 7, 1967, in Severn, Maryland, Toni Braxton’s age is 51 years old. Braxton is a multi-talented star and is known for her work as a singer-songwriter, record producer, pianist, actress, TV personality, and philanthropist. Get ready to watch my version of "A Christmas Carol" this holiday season. ? ? #EveryDayIsChristmas premieres on @lifetimetv on Saturday, November 24 at 8/7c. Braxton has also acted in TV films like Play’d: A Hip Hop Story, Twist of Faith, Toni Braxton: Unbreak My Heart, and Faith Under Fire: The Antoinette Tuff Story. In the late 2000s, Braxton struggled with health issues like a benign breast tumor and complications from lupus, but she fought hard and is still performing and acting today. Born on June 9, 1964, in Toronto, Ontario, Canada, Gloria Reuben’s age is 54 years old. Reuben has achieved fame as an actress in film and television, singer, and producer, and acted in popular TV series like ER, Falling Skies, Mr. Robot, and Saints & Sinners. Reuben worked as a model and in several TV commercials before she plunged into her career as an actress. She’s had memorable roles in TV shows like The Flash, The Agency, 1-800-Missing, Raising the Bar, Blindspot, and Cloak & Dagger. She has had an active film career as well, and some of her notable films are Timecop, Nick of Time, Deep in My Heart, Shaft, The Sentinel, Lincoln, Reasonable Doubt, and Who We Are Now. Reuben learned to play the piano as a child and later studied at The Royal Conservatory of Music in Toronto. She studied music technique and theory, ballet, and jazz, becoming an accomplished musician. One of the high points of her music career was when she sang backup vocals for legendary singer Tina Turner on her tour in 2000. Born on November 10, 1967, in Brooklyn, New York, Michael Jai White’s age is 51 years old. White is an American actor who is well-versed in martial arts and has acted in many films and TV series over the years. He achieved distinction by becoming the first black person to portray a prominent comic book superhero in a major studio-backed film called Spawn in 1997. He played the central character of Al Simmons. He has acted in TV series like Living Single, JAG, NYPD Blue, CSI: Miami, Justice League, The Boondocks, and Arrow. He has had parts in many films like Universal Soldier, 2 Days in the Valley, Breakfast of Champions, Exit Wounds, Silver Hawk, The Dark Knight, and a host of direct-to-video films. White is an expert martial artist with black belts in eight different styles, including Taekwondo, Shotokan, Kobudo, and Wushu, among others. He started learning martial arts at the tender age of seven and kept working on his passion as he grew older. Not many people know it, but White used to be a teacher before he gravitated to a career in showbiz.